With tax day approaching, host Scott Hudson as picked a playlist of tracks with numbers in the titles. Two hours of brand new scorching rock and roll! Another month of great releases, including new tracks by Paul Westerberg under the mysterious Dry Wood Garage moniker! Another month, another show of nothing but brand new or recently discovered tunes! Music journalist Bob Mehr joins Scott Hudson tonight to talk about his new book, Trouble Boys: The True Story of the Replacements. The first Friday of the month means it’s a show of nothing but new releases! Continuing the series of shows devoted to track numbers, tonight’s show is nothing but the tenth tune off favorite old and new releases. Nothing but songs from that year that you actually did party like it was 1999! It’s simple – nothing but songs that include the word “what”. Director Gorman Bechard, author Caryn Rose, blogger Brad Searles, and music fan Jason Loeb join Scott Hudson to discuss last week’s reunion of the Replacements in Toronto. An almost all-interview show, with Gorman Bechard chatting about the Replacements reunion, and members of Cursive and Teenage Bottlerocket promoting upcoming Sioux Falls appearances. It’s been awhile since an all-covers show, so celebrate the holiday weekend with almost 2 1/2 hours of remade tunes! Rural Ledge-ucation is taking a summer hiatus, so why not have a whole show of bootleg Paul Westerberg? Another installment of an episode full of new releases and blog finds. 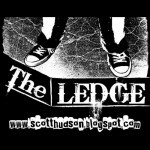 A very special episode of Live Ledge, highlighted by a phone interview with Soul Asylum’s Dave Pirner! 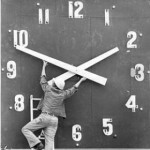 We all hate it, so why not a show dedicated to daylight savings time? Tonight’s show debuts the entire new Replacements EP, Songs For Slim, along with the original versions of the covers. Plus, tracks from future Songs For Slim contributors. It’s that time of the month again – almost nothing but new releases and blog finds, including one of the tracks from the upcoming new release by The Replacements! Here’s your soundtrack to your New Year’s Eve festivities! Besides talking about the St. Paul Graham Parker concert Scott saw earlier this week, tonight is all about punk rock Christmas songs. For the 3rd straight year, Hudson ignores the sentimental garbage and piles on the edgier side of the holidays. Along with some of Scott’s walking soundtrack, there’s lots of new releases to air today. Yesterday was Tommy Stinson’s 46th birthday, so it is only natural for us to celebrate it with music from all periods of his career. Debut plays of new tracks by Paul Westerberg and Matthew Ryan highlight this playlist of primarily “fall” songs. Besides the usual new releases, blog finds, and old faves, tonight’s show features a number of “family trees” – sets that include spinoffs and solo projects of some of my fave bands. The conclusion of the year-by-year musical analysis of host Scott Hudson’s life starts with 1995 and ends with a release that coincides with his birthday! A mishmash of sounds this morning, including a birthday tribute to Elliott Smith. Nothing but live recordings and studio demos for this short Sunday morning set! Live Ledge #74: London’s Burning! A show dedicated to our fine comrades across the pond, along with a celebration of one of their prime exports, Sir Michael Phillip “Mick” Jagger! The 25th anniversary of the release of The Replacements’ Pleased to Meet Me is celebrated! 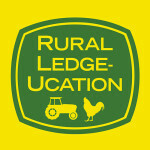 Rural Ledge-ucation #60: Marriage Stinks! A followup to last week’s anti-wedding show, today we concentrate on songs that describe the perils of wedded “bliss”. Besides a bunch of tunes about mommy’s, there’s a little set to commemorate my sister’s birthday. Happy birthday, Dawn! This was one strange week in rock news, and host Scott Hudson covered them all! Recently deceased Monkees singer Davy Jones is the focus of part of the show, along with a birthday tribute to Lou Reed. Besides a setlist of nothing but songs about girls, this week’s Live Ledge discusses the future of the show.